This is an ideal item of furniture for either the home or the office. Choose from a number of colour schemes to fit with any existing theme in that room, and you can be assured a comfortable and stylish seat when choosing this swivel chair with wheels designed in Italy by Luca Nichetto. Each chair is custom made with over 20 different hand cut segments of fabric, which are sewn together one by one to create a truly bespoke chair which is quite unlike any other on the market. Each colour can be ordered with or without arm rests: for an office chair, customers may prefer the arm rests on, meanwhile, if it (or they) are to be used in a boardroom or similar, the arm rests will probably not be required. Each chair comes fully equipped with a gas hydraulics system which is fully adjustable to any person’s size, height and sitting position. 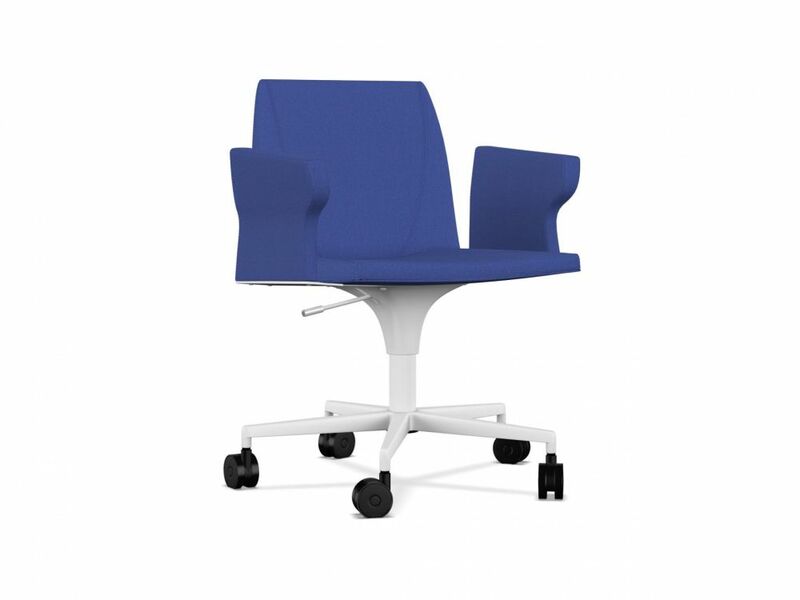 The main seat and back rest of this swivel chair with wheels is made from a durable and comfy polyurethane material which fully complies with modern health & safety regulations for the home or work place. This special material gives support to the lumbar and thoracic regions (which can often become sore or achy after many hours in the same position) and can be easily tailored to the correct height for any working environment to eliminate any problems of RSI or neck cramps. Important: stitching is usually in the same colour as the upholstery. For contrasting stitching, please specify the colour of the yarn when ordering (whether white, black or red is required).